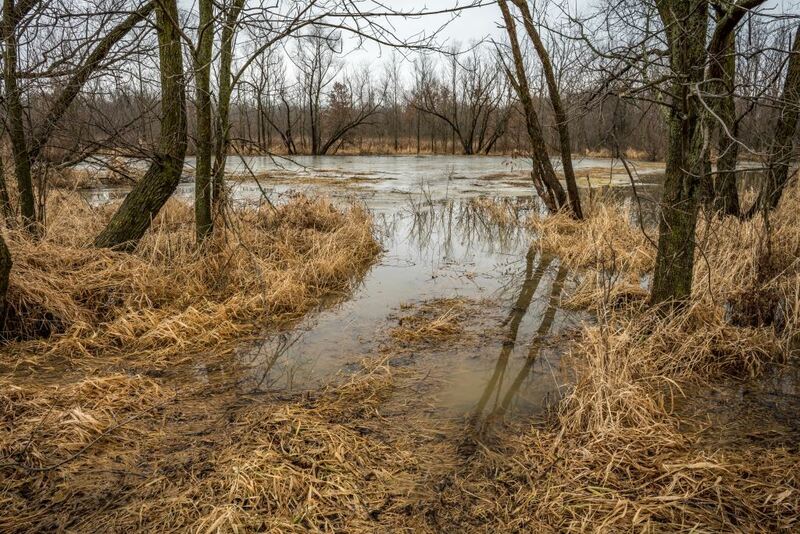 Terry Garman always knew the 84 acres of vibrant woods, wetland and farmland his parents, Ray and Dorothy Garman, purchased in the Cedar Creek Corridor in the ’40s and ’50s was special and worth preserving. Through the years, he made careful farming and land decisions mindful that his property was a rarity bucking the development boom along the scenic corridor. Terry Garman turned to conservation farming methods and advice to preserve nature and his parents’ legacy. In 1995, Terry retired as a physical education teacher from Highland Terrace Elementary School in New Haven, having served both Fort Wayne Community and East Allen County Schools for 33 years. Terry Garman died in September 2013 after coping with Parkinson’s disease for 18 years. He was 71. 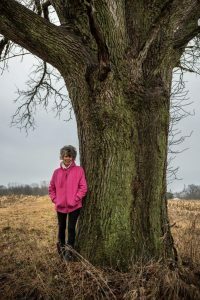 “When I moved here, I thought I’d died and gone to heaven,” says Joan Garman of the 84-acres she donated to ACRES Land Trust for permanent protection in honor of late husband Terry Garman. 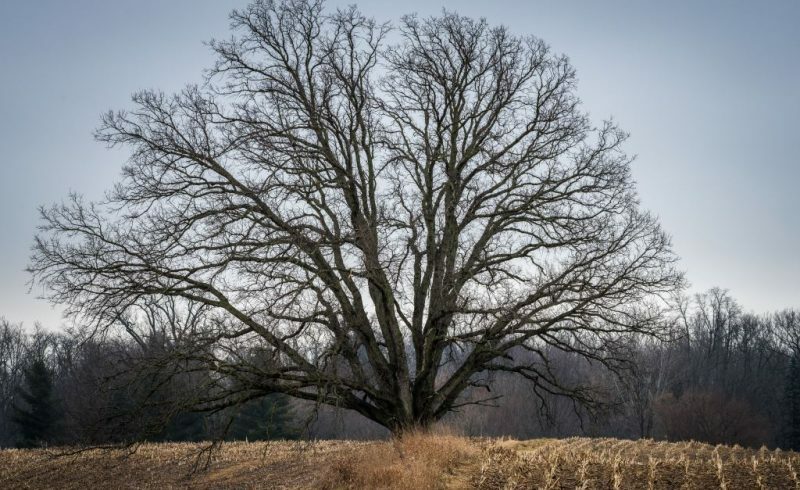 In December, Joan Garman continued his conservation ethic by donating their land to ACRES Land Trust in memory of her late husband’s vision and his family’s history and work on the land. 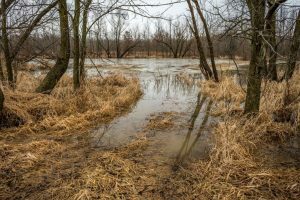 “The Dorothy and Ray Garman Nature Preserve provides examples of many of the natural systems and working lands that stretch through the Cedar Creek Corridor,” says a grateful Jason Kissel, executive director of the local nonprofit land trust. 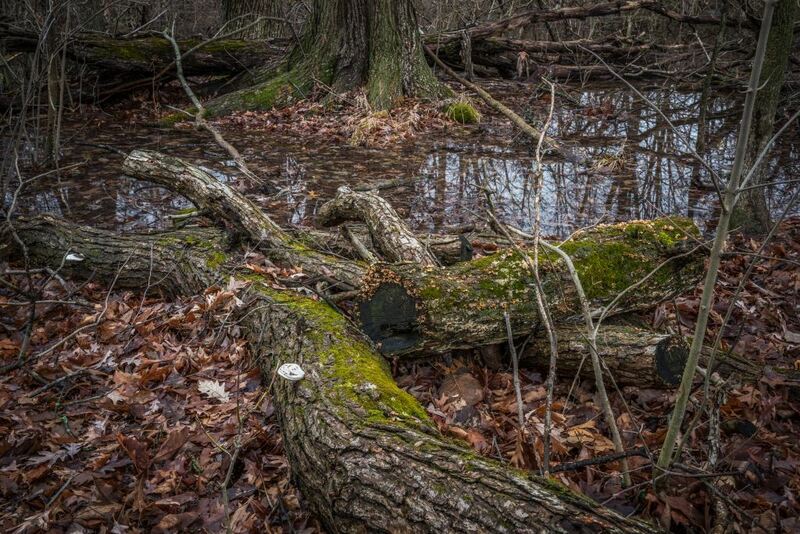 “It’s our privilege, thanks to our members, to promise to protect this place forever,” says Kissel, of the Huntertown-based ACRES, which maintains more than 6,000 acres of forests, wetlands, prairies, cropland, critters and native plants in northern Indiana, Michigan and Ohio. In 1989, the Garmans built their A-frame home, planting a former hay-field with trees and flowers: daffodil bulbs, hundreds and hundreds and hundreds of them, perennials and annuals, too. “You can never have too many flowers!” says Joan. The Garmans were a poster couple of enthusiasm and energy for a Parkview Physicians Group wellness program, says cardiologist Mark O’Shaughnessy, an avid ACRES board member. 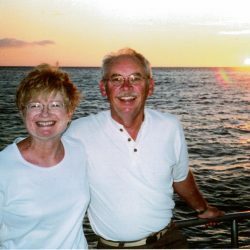 The couple remained active, Joan powering the wheelchair long into the challenges of Terry’s rapidly progressing Parkinson’s. Joan is semi-retired, having worked as a speech therapist for 28 years. Following Terry’s diagnosis at the age of 35, she retired early so they could spend time and work the farm together, until he could no longer operate the tractor. Today, she is a part-time activity assistant for The Cedars retirement community, returning to the land for sustenance each day. Butterflies, wood thrush, bluebirds and bees swoop through the wetlands among the native buttonbush and berry bushes. Joan attracts and raises monarch butterflies, sharing chrysalis and caterpillars with children of all ages. The property is rife with milkweed, mainstay to monarchs. About 62 acres of the property gently roll in agricultural fields. In 2010, four busloads of farmers with Natural Resources Conservation Services traveled to witness first-hand land nurtured with Garman purpose and love. It was a proud moment for Terry Garman. 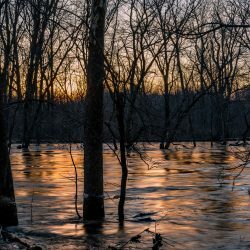 Cedar Creek is one of only three rivers in the state to be designated an Indiana Scenic River under the 1973 State of Indiana Natural, Scenic, and Recreational Rivers Act. ACRES helped the waterway earn this designation in 1976. ACRES and other land conservation partners have protected 1,453 acres of the Cedar Creek Corridor, the largest forested corridor in the region. 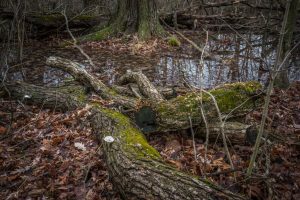 The Garman property is just north of Metea County Park, just down the road from another ACRES preserve in the Cedar Creek corridor, the 30-acre Orion Woods. 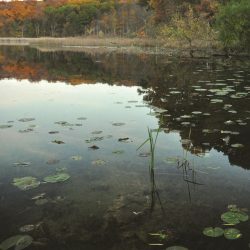 Committed to protecting the ecosystem of the Cedar Creek corridor forever, ACRES preserves stretch from the new Garman Preserve acquisition northwest about 9 miles to Barrett Oak Hill Nature Preserve, then past the Heinzerling Family Five Points Farm Nature Preserve in Garrett to the James P. Covell Nature Preserve south of Auburn. Development interest on this property was very high due to its scenic nature and location. Joan Garman, determined to enable ACRES to preserve her husband’s legacy forever, places a higher value on the land than the generous offers she repeatedly received from developers. The Dorothy and Ray Garman Nature Preserve is closed to the public at this time. What a great legacy, thanks much to the Garman’s, and to Joan for her donation! Thank you, Joan! You have done so much good for our community in so many ways. It is a privilege to know you, and I’m grateful to both you and your late husband for your kind generosity in donating this land to ACRES. Thank you for helping to preserve this wonderful piece of ground for future generations to enjoy!